The bolt-action would not seem to be the sort of action on which to build a shotgun. However, it was a choice of action sometimes preferred for low-cost garden shotguns made around the smaller varmint control cartridges, such as .410 caliber that is actually a 36-gauge. If shotguns and ammunition are big game necessities where you live and if they are lawful for hunting big game, now is the time to experience the accuracy of a bolt-action shotgun for big game hunting. You should also note that a shotgun's single projectile, known as a slug, exceeds plenty of rifle calibers in terms of energy, so it can be just as effective in taking down big game as large rifle calibers. For instance, the 12-gauge slug (.729 caliber) is both significantly heavier and more than twice the diameter of a .30-06 bullet. At typical velocities of approximately 1,800 fps for 1-ounce (437.5 gr) slug, it generates an energy of over 3,100 ft-lbs (4,200 J) in contrast to .30-06 bullet muzzle energy of 2,250 ft-lbs (3,051 J). 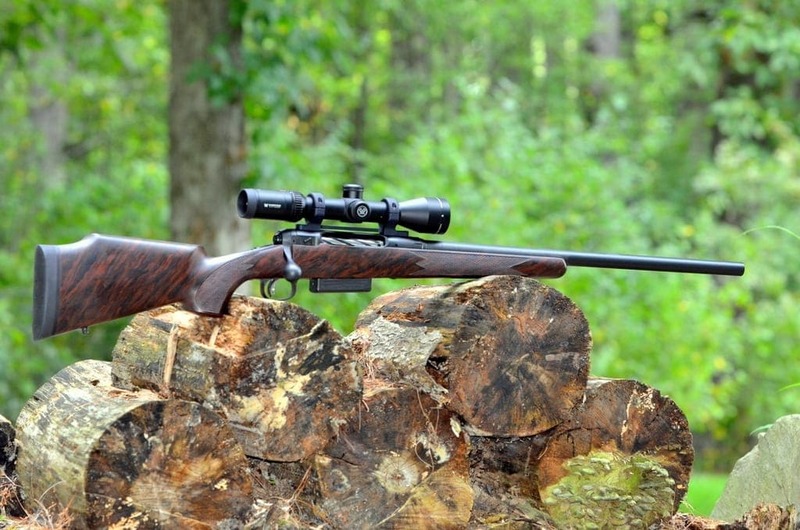 What is a Savage 220 And What Style of Shooting is it Best For? After the long-established 12-gauge Model 210 bolt shotgun, as a natural step further Savage Arms have developed their new models in 12 and 20 gauges designated as Model 212 & 220 Slug Guns. Introduced late in 2009 and based on the legendary Savage 110 action, chambered for 3” 20-gauge shells, the Savage 220 bolt-action shotgun is a modern and superbly accurate slug gun that you can use for hog or deer hunting in slug only zones. A Savage 220, due to its free-floating, precision button-rifled barrel, delivers extraordinary accuracy, with an effective range of up to 175 yards and minute-of-angle accuracy at 100 yards. Obviously, the 20-gauge Model 220 Slug Gun gives you an overall rifle shooting experience in the first place thanks to controlled-round-feed bolts with smooth-handling, oversized bolt handle and detachable 2-round box magazine. 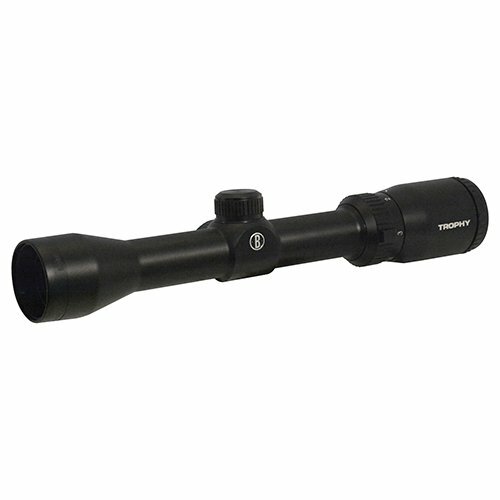 Can Any Scope Work For a Savage 220? While the slugs can work well up to 80 yards in a smoothbore barrel equipped with cylinder choke and good rifle sights, the sabot slugs should only be shot through a dedicated fully rifled slug barrel to obtain exceptional accuracy even up to 200 yards. Shotguns are not known as precision weapons, but many Savage 220 owners choose to mount a scope on it since the receiver is drilled and tapped for mounting the scope to help make that pinpoint accurate shot. Combining a 22-inch matte blued carbon steel barrel and Savage Arms' user-adjustable AccuTrigger system, the Savage Model 220 Slug Gun is an incredible choice for whitetail hunters providing centerfire rifles accuracy. Any gunpowder aficionados know that shotguns kick hard, making recoil the prime detractor to the shotgun use. Although the 20-gauge 3” shells from Savage 220 generate somewhat softer recoil than 12-gauge version, a low-quality riflescope on a shotgun usually would not hold up to slug gun recoil. Some factors to consider when selecting the best shotgun optics include magnification, eye relief, reticle type, and toughness. In the beginning, specialized slug gun scopes were fixed low-power versions, and you didn't need anything with more than 4 power at the top end. However, with the newly developed slugs' designs enabling longer effective range, more powerful optics were needed. Also, for the slug hunting, you need a scope that is ideal for heavy recoil, so in contrast to the centerfire riflescopes, the common shotgun scopes should provide more eye relief, for obvious reasons. The shotgun scopes usually come with a shorter parallax setting to 75 yards and plain duplex style crosshair. There is also a choice of ballistic type reticles like BDC, but if you are shooting 50 to 80 yards on average, the BDC reticle is not of much use to you. As mentioned earlier, the shotgun is a powerful machine, which produces plenty of kinetic energy; so, the suitable optics must be rugged and built with quality components. It is crucial that the scope brand provides a full warranty and the manufacturer stands behind their product. Below are our top scopes reviewed in-depth. Simmons Optics is headquartered in Overland Park, Kansas, and has produced an entire line of fine sporting optics for more than 30 years with an accent on an economical solution for your hobby or passion. This budget-friendly optic manufacturer has a scope that meets your needs, and their scopes are not limited to rifle use only. The Simmons ProHunter line is offering scopes for use at shotguns, muzzleloaders, or handguns designed for rapid target acquisition at short ranges. The Simmons ProHunter model 517793 is optics mainly designed for shotguns with a fixed magnification of 4x, a precision ProDiamond reticle and solid 4-inch eye relief. The Pro Diamond reticle is very convenient as it can identify a deer's vital zone at 75 yards and turkey's vital zone at 40 yards. The ProDiamond 4x32 shotgun scope features Quick Target Acquisition (QTA) technology that allows you to focus sharply on the target in a less than a few seconds, increasing your chances of hitting a moving prey. The ProDiamond 4x32 is configured with capped turrets adjustable in 1/4 MOA clicks and TrueZero windage and elevation adjustment system providing 70 MOA range of adjustments. Additionally, The Simmons ProHunter features multi-coated lenses for excellent twilight performance available in its class and Hydro Shield protection to provide clarity and brightness regardless of weather conditions. With an objective lens of only 32 mm, an overall length of 9.5" and weighing in at 8.6 ounces, the ProHunter 4×32 is one of the most compact and lightweight optics. However, the small objective lens is not suitable for low light conditions such as dusk and dawn. The Simmons ProDiamond slug gun scope comes with rugged one-piece tube construction. The inner housing of the 1.0" central tube is filled with nitrogen gas and sealed with the O-ring for the completely waterproof and fogproof feature. You’re unlikely to find a better scope for shooting at 75 or fewer yards that will improve accuracy significantly and will give confidence to every beginner. As the most basic model of the Simmons ProHunter lineup, Prodiamond 4x32 scope for Savage 220 offers the ability to focus on prey sharply without wasting time. Magnification ranges from 3x to 9x. Today, Nikon makes a line of scopes with ballistic reticles, but in 2006, they also introduced the first rangefinding scopes specifically designed for shotguns. The modern Nikon Prostaff P3 Shotgun Hunter BDC 200 is the evolved form of the long-established SlugHunter line of 3-9x40 models. Utilizing an enhanced reticle with four “ballistic aiming circles” for shooting from 100 to 200-yards, Nikon's BDC 200 reticle has been designed for use specifically with polymer-tipped sabot slugs. The combination of generous and consistent 5 inches of eye relief, BDC 200 reticle and today's powerful slug loads allow for comfortable shooting and excellent accuracy at longer distances. However, the BDC 200 reticle is unilluminated, making hunting and aiming in darker conditions somewhat a bit more demanding. This Nikon's compact and versatile optics features spring-loaded instant Zero-Reset turrets and precise 1/4 MOA windage and elevation adjustments. The scope body is made of rugged one-inch aircraft grade aluminum main tube designed to handle the kick of a slug. Although featuring a 40mm objective lens, this is a compact and lightweight optic that is waterproof, fogproof, and shockproof. Using the appropriate mounts, the economic 3-9X40 ProStaff line is a perfect match for the Savage long-action Model 220, allowing you to extend the effective range of your slug gun to 200 yards and beyond. Designed specifically to be mounted on a slug gun, the scope's classic 3-9 magnification power is precisely what you need to cover about 200 yards and still be able to aim at close prey. Bushnell recently added a great multipurpose shotgun optic, featuring a 1.75-4x32mm variable zoom lens that can fit every hunting application without a huge budget. The fully coated lenses offer excellent clarity and provide best in class up to 91% light transmission. The Bushnell Trophy shotgun scope offers the 3.5" eye relief that isn't the longest available but it is quite controllable mounted on 20-gauge Savage 220. 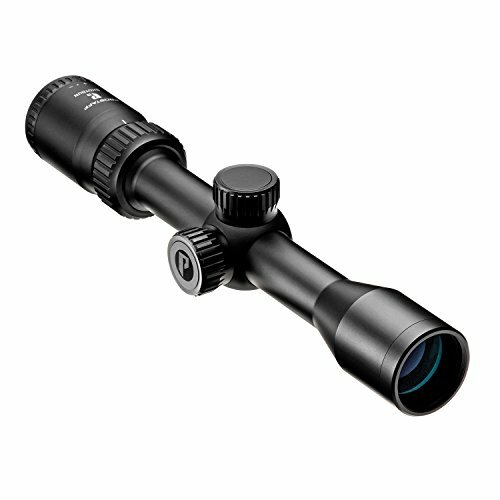 Trophy 1.75-4x32 riflescope is well suited for the short-range turkey or deer hunting with shotguns with its Circle-X reticle. The reticle is placed in the 2nd focal plane and utilizes an encircled thin narrow crosshair that is unfortunately not illuminated, making it less suitable for use in unfavorable light conditions. Capped turrets feature 1/4 MOA click values with a remarkable 150 MOA of total travel. Weighing in at 12.7 ounces, and measuring at only 10.6" in length, the shorter one-piece tube stays out of your way, while this lightweight scope exhibits improved recoil resistance. Aside from the shockproof construction capable of withstanding the recoil of a 12 gauge, the fact that Bushnell Trophy Model 751432 is designed specifically for the hunter is also supported by the combination of fully multi-coated optics for a brighter, clearer image in any weather and traditional 1" aircraft aluminum tube filled with nitrogen for fogproof and waterproof performance. Within the Bushnell Trophy riflescopes series, Bushnell included few models explicitly designed to fit any slug gun, for an affordable price. The Bushnell model 751432 is a really nice budget option if you are first time buyer but also for the experienced hunter. Another compact scope appropriate for use on slug guns comes from Vortex and it is one of the multiple configurations in the highly popular Diamondback lineup. Tiny and light yet durable, Vortex Diamondback 1.75-5x32 is initially designed for driven hunting. 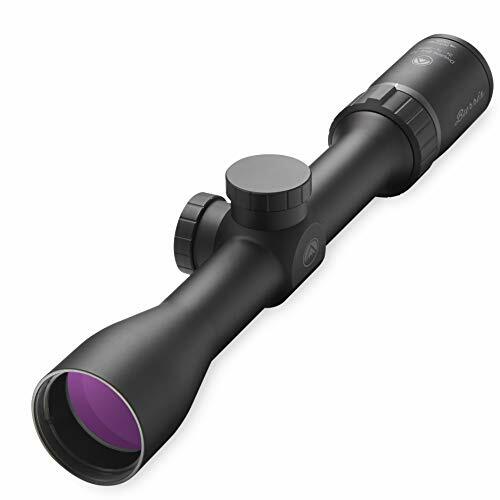 Due to the small initial magnification, it's great for stalking and hunting big game in dense vegetation with smoothbore weapons such as Savage 220. 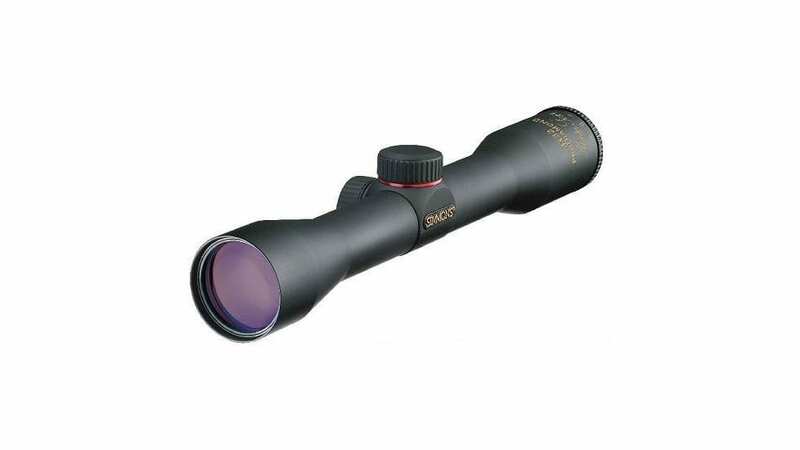 The Diamondback 1.75-5x32 riflescope sports plain etched Dead-hold BDC reticle that comes with a nice BDC system. Like in all Diamondback series of scopes, the Vortex DBK-08-BDC model has the reticle placed in the second focal plane and without illumination, meaning that these scopes are made for hunting and shooting at daylight. The turrets are capped for more protection and feature ¼ MOA adjustment graduation, allowing for a formidable 125 MOA travel with both windage and elevation. The scope comes with parallax fixed at 100 yards and modest eye relief of only 3.5 inches that may be disturbing for some shooters. 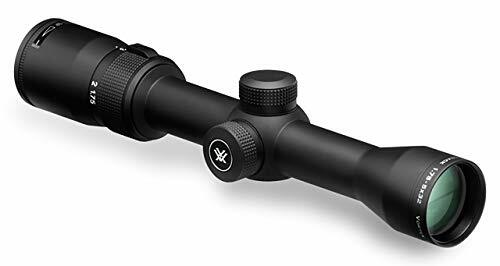 The Vortex Diamondback body consists of one part; it is made of a 1-inch aircraft-grade aluminum tube, making this scope indestructible and highly resistant to magnum recoil. The inner space of scope housing is argon purged for a fog-free view and O-ring sealed to be completely waterproof and dustproof in any hunting scenario. The lenses are fully multi-coated to ensure sharp images with good resolution and coated with ArmorTek exterior coating to help protect your optics against scratches. The Vortex Diamondback 1.75-5x32 scope is packed with features you’d expect to find only in higher priced optics. With variable magnification and the 3-times zoom factor, this riflescope is perfect for hunting at shorter distances and fast moving targets. The eye relief at the highest magnification is only 3.1." Burris Optics has launched their DrорTіnе series of riflescopes as а hіgh реrfоrmіng, low budget ѕсореs fоr thе hunter whо wаntѕ to ѕаvе money but wаntѕ tо gо hоmе bіg оn quаlіtу. Although made as an entry-level scope, the smallest Burris DropTine model at 2-7x35mm may have more than entry-level potential. The Burris 2-7x35 DropTine scope is made in two versions designed for the .22 LR ammunition and slug gun rounds and both are utilizing a duplex crosshair-style reticle called the Ballistic Plex by Burris and placed on the rear (second) focal plane. Our actual model 200016 has the focus set at 75 yards and trajectory-compensating Ballistic Plex reticle calibrated to match slug gun rounds. While the Burris Ballistic Plex slug gun reticle is optimized for the specific ballistic characteristics of slugs calculating ballistic drop to as much as 250 yards, it is one of the most simple and effective rugged reticles with holdovers for snapshots at extended ranges. The scope comes with capped, low-profile resettable turrets featuring 1/2 MOA click values and having 60 MOA of windage and elevation adjustment. The 35mm objective lens and other glasses have Hi-Lume anti-reflection and glare-resistant multicoatings to offer superb low-light capability with glare resistance. The 1-inch main tube is waterproof and nitrogen-filled to prevent internal fogging even in cold and rain. The body housing is made of stress-free, 1-piece, solid outer tube that can withstand shock and vibrations of even the heaviest-recoiling calibers. DropTine riflescope sports a separate eyepiece and power ring and not so great eye relief, which ranges from 3.1" at 7x zoom power up to 4.1" in lowest power setting. This is the smallest model in a Burris Optics Droptine line, but it is perfect solution fоr thе shotgun huntеr whо wаntѕ thе lоwеѕt рrісе роѕѕіblе wіth thе hіghеѕt реrfоrmаnсе роwеr that will allow optics to survive a lifetime of harsh field use. While during the 1980s, only a couple of gun enthusiasts ever put a scope on a shotgun, today the shotgunning world is changed due to technological innovations and using a slug gun with a mounted scope is very common, especially in areas where shotguns and slugs are lawful for hunting big game. The scoped shotguns with rifled slug barrels and sabot slugs are often used in the same situation as a rifle would be used, only with limited effective range to approximately 75-100 yards. There is no universal best optics for a slug gun, but unlike riflescopes, they should be sturdier, to withstand the recoil from a shotgun and have longer eye relief than that of a rifle scope. Best 7mm Rem Mag Scopes of 2019 – For The Money, Plus More!